It was a momentous reckoning day in the World Pumpkin Capital of Half Moon Bay, California. 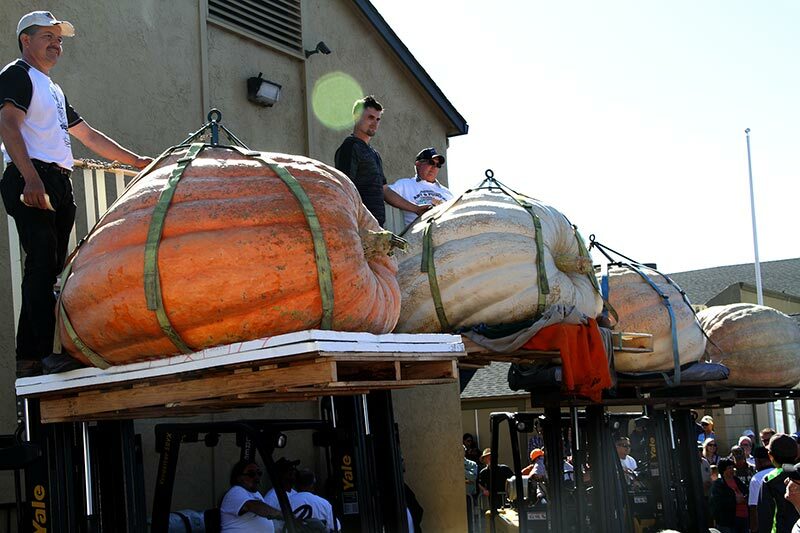 Steve Daletas from Pleasant Hill, Oregon, took top honors at today’s 45th Annual Safeway World Championship Pumpkin Weigh-Off with his 2,170-pound giant. 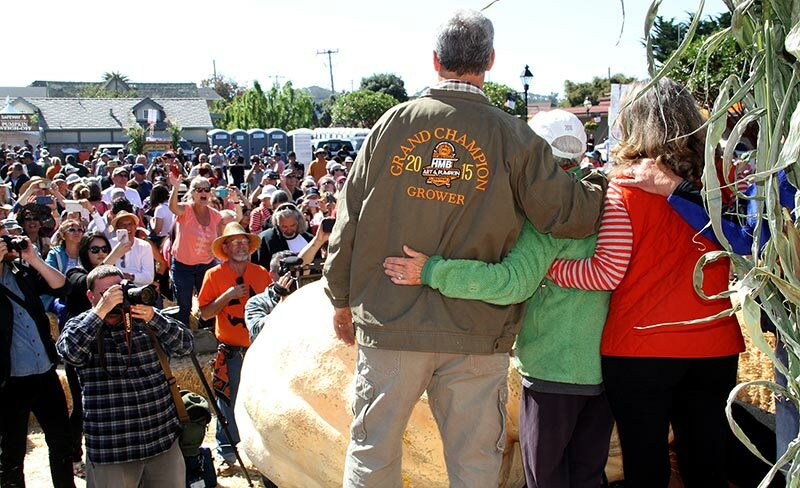 The grand champion mega-gourd, along with the top four pumpkins from the weigh-off, will be on display at the world-famous Half Moon Bay Art & Pumpkin Festival on October 13-14 from 9am to 5pm. 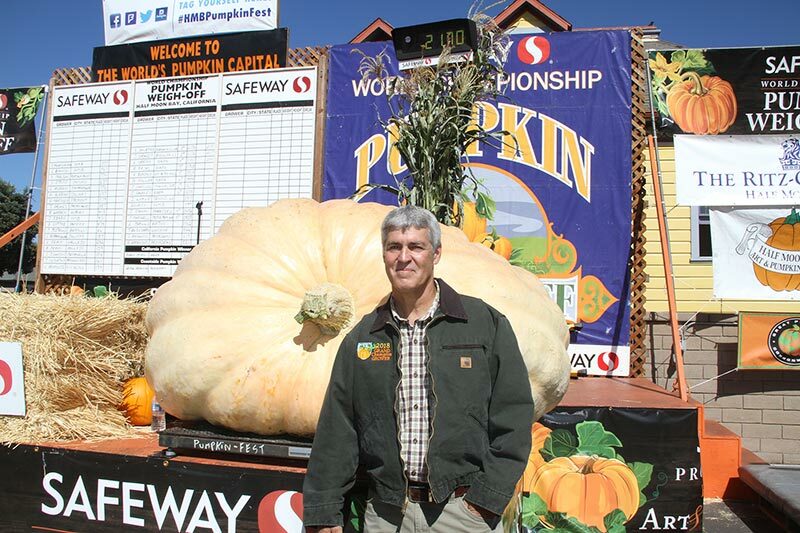 On a picture perfect Monday, Steve Daletas, an airline pilot from Pleasant Hill, Ore., took top honors at the Safeway World Championship Pumpkin Weigh-Off and his Goliath gourd, beautifully shaped with a creamsicle orange sheen, made him a four-time winner of the prestigious Super Bowl of Weigh-Offs. His behemoth rocked the scales while the audience roared with anticipation, finally settling in at an astounding 2,170 pounds with a circumference of 218”. A good size girth indeed. It was the second-heaviest pumpkin ever weighed at Half Moon Bay, one of twelve gargantuan gourds that weighed in over 1,000-pounds making it their deepest field in history. Complete results below. 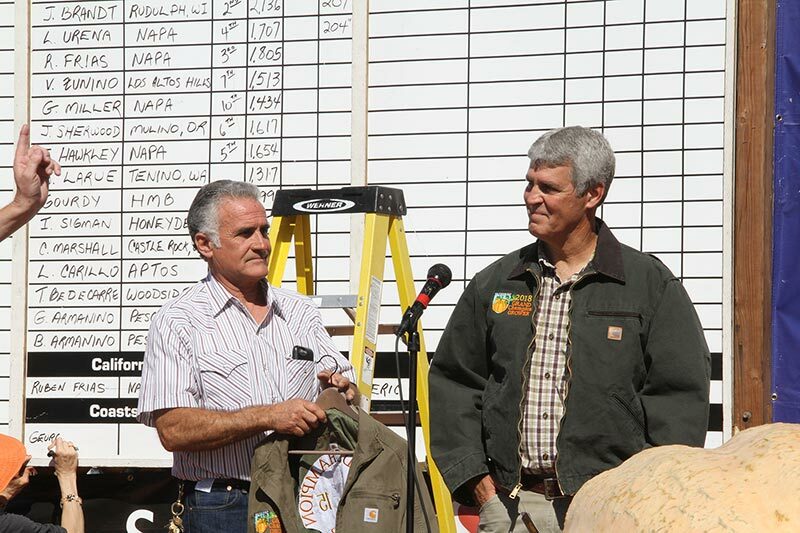 Daletas won out over a formidable field of accomplished veteran growers, pocketing a cool $15,190 ($7/pound) and donning the coveted Mel Mello Sr. Grand Champion Growers Jacket. The great and magnificent Daletas' prodigious pumpkin (along with the other top 4 pumpkins) will be displayed with pride and play a starring role in this weekend’s Half Moon Bay Art & Pumpkin Festival, October 13-14 from 9am to 5pm on Main Street.